While it’s important as the admin of a meeting to know who indicates meeting availability, sometimes it’s useful for attendees to stay in the loop too. 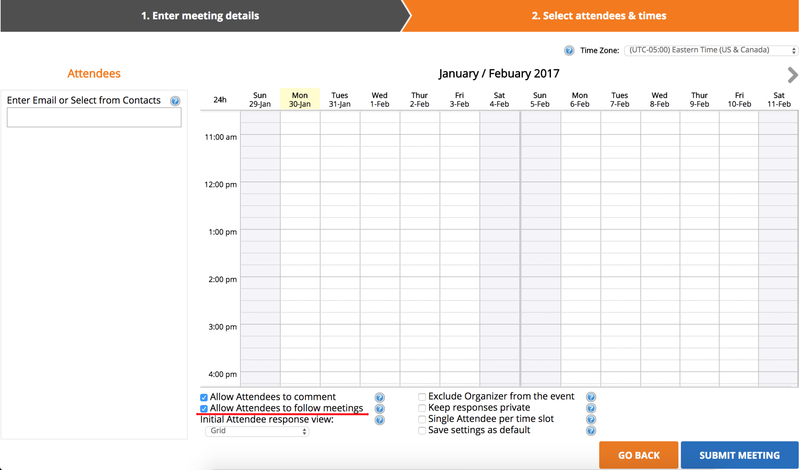 Registered users of NeedToMeet have the ability to select “Follow This Meeting” to keep track of attendance. By entering their email address and clicking submit, they’ll also receive email notifications each time a new attendee for the same meeting indicates availability.